Event Date: Friday, June 1, 2018 || Starts at 6:30 pm || Co-sponsoring with Jennifer Grisanti and Final Draft. 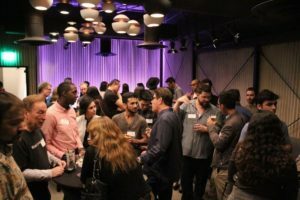 This networking event is on a first name basis and everyone will receive a name tag with their first name only, this is best for the more established professional entertainers to maintain their anonymity which will allow them to network as well. FREE to attend. Please pay for your own food, cocktails & parking. We ask everyone to purchase one drink, minimum, please. ~Check in with us at the entrance to receive your name tag. 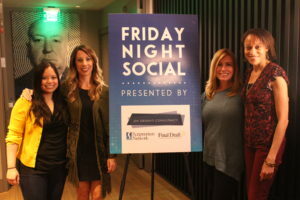 This month’s Friday Night Social is being held at The District By Hannah An. 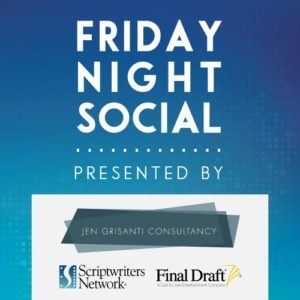 Please join Jennifer Grisanti, Final Draft and The Scriptwriters Network at this location for this month’s Friday Night Social “Networking” event. Intricately handcrafted to transport guests into Vietnam’s sensational past, The District by Hannah An is unlike any Vietnamese restaurant in the U.S. Before entering, guests are awestruck from the street by the Hoi An room, where Edison lights emit a welcoming glow reminiscent of the bustling “Lantern Town.” Let’s step inside. What could easily couple as a museum, Hannah An’s newest creation delivers an authentic Vietnamese experience. From the manor home’s century-old doors to its patinated mirrors, no detail has been overlooked. But the design is just one part of her full orchestra. Simply stated, Hannah has created an environment that thrives on harmony. The sounds of laughter enhance the room’s energy, which bolsters the mood in the kitchen, where food is prepared and dished with love, which is enjoyed by those same jovial guests. Repeat. Everything is part of and a distinct reflection of everything. 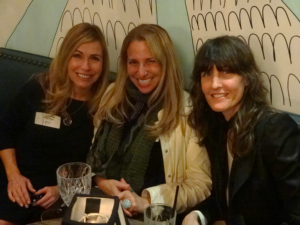 FNS Hostesses, L to R: SWN’s Secretary Jill Narciso, Final Draft’s Kala Guess, Jen Grisanti (Consultancy) and SWN’s President Melessa Y. Sargent. Plenty of additional parking close to location. 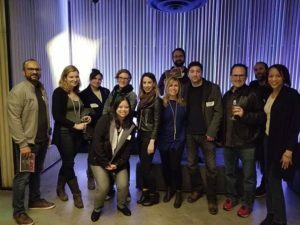 HOOCH is a cocktail, craft beer and wine society and a discovery phone app. Find your next bar, lounge or restaurant with the app and redeem a complimentary drink! Members get one complimentary drink a day from any HOOCH venues around the world (55+ bars, lounges and restaurants in LA). Drinks include cocktail, beer, or wine. Membership cost $9.99 a month. 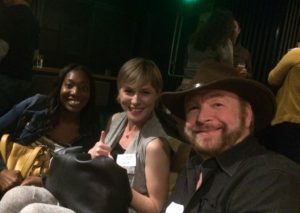 The Scriptwriters Network Special: Get the first month of membership (month of drinks/30 drinks) for $1 with unique code “SCRIPTWRITERS”. Welcome to unsubscribe anytime. 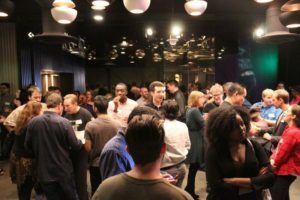 ALTHOUGH networking is a priority at this event, so is your safety. If you choose to drink, do so responsibly!